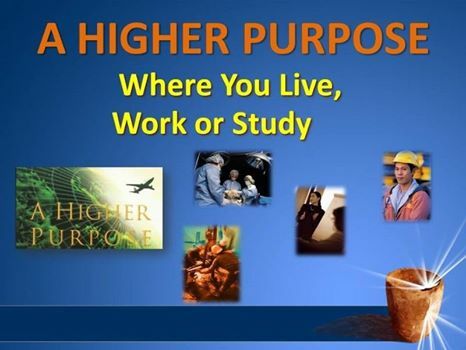 I have been reading a book “A Higher Purpose for Your Overseas Jobs” by Roberto Claro> Also had the opportunity to attend a one-day seminar led by the author. Strangely, I had assigned the book to my missions students before, but had not really taken the time to get into it personally. I found the book extremely practical, but without the cardinal sin of ignoring the underlying principles of missions. The book focuses on the OFW (overseas foreign workers) experience of approximately 8 million Filipinos. The question is whether one can use their work overseas as an opportunity to serve God missionally. The writer likes to separate between same culture outreach overseas (also known as Diaspora Missions), and cross-cultural missions. I consider both to be missions… but I have to admit that it is mostly a matter of nomenclature rather than a fundamental difference. The paper version of the book is available on-line (Amazon) as well as a number of bookstore chains in the Philippines. Recommend a paper version, but a free pdf version is available at HERE. A nice blogsite for a lot of information about Philippine Bivocational Missions is Philippine Bi-Professionals.